Kalambu Hot Springs and Aquatic Park In Arenal Volcano has the perfect combination of services for all the family. 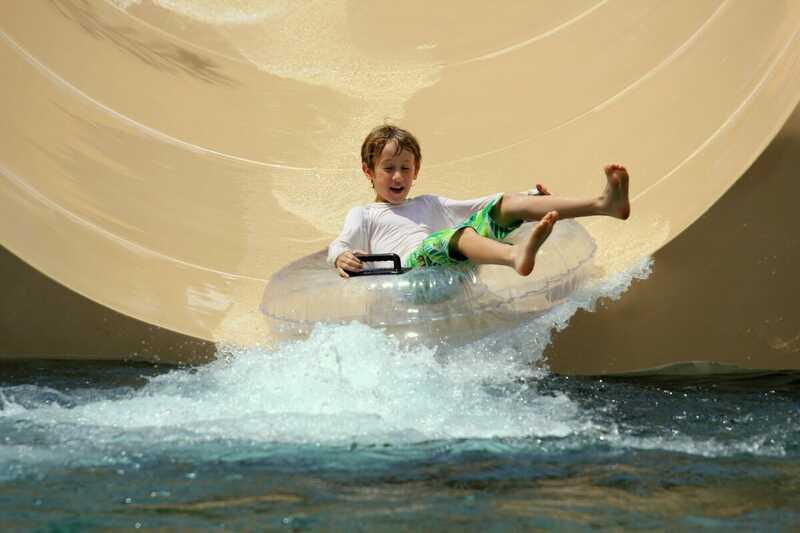 For the young thrill-seeker, THE MAMMOTH water slide will propel you and up to three others down 374 feet of exhilarating madness from over 4 stories high!Ride the storm on the TRIPLE SLIDE with three fast and fun slides, the Cyclone, the Tornado and the Avalanche. With a height of over 3 stories, each slide will send you zooming at speeds of up to 6 feet per second!Specially designed for children of all ages, the INTERACTIVE PLAY AREA FOR KIDS has multiple levels to explore. 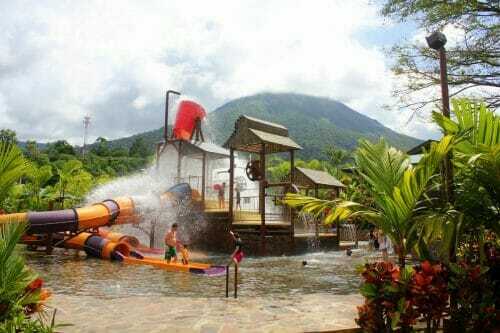 Children will soak up hours of fun in this aquatic playground with naturally heated thermal water. 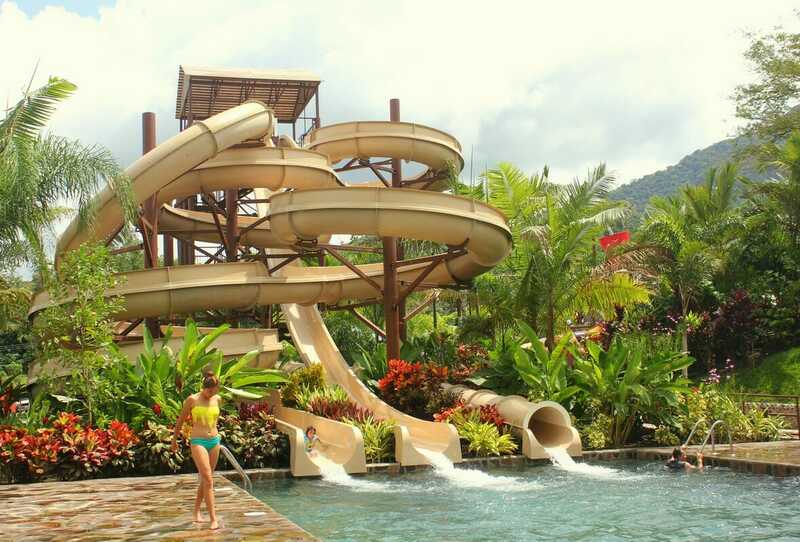 Equipped with water cannons, slides, and swimming pools, kids will have hours of fun. Children younger than 7 years old must be accompanied by an adult.At the end of a fast-paced fun day, take a dip in our thermal swimming pools filled with soothing hot water from underground. Have a seat underneath the cascade and let the steamy water massage your tired muscles as it falls on you from above. These healing waters relax you by reducing pressure on joints and muscles and eliminating tension. In addition to cleansing the skin, the waters have curative properties that help your metabolism while stimulating digestion.